Close to the North Korean border, several units of US American and Korean soldiers are stationed to protect Seoul (which is accessible by subway) against attacks from the North. 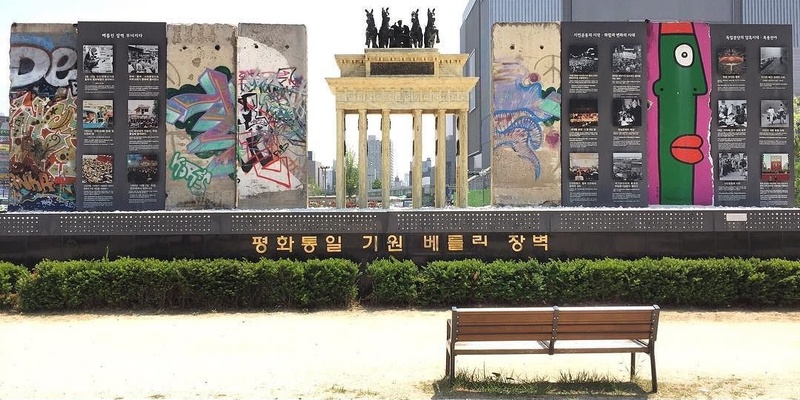 For the 60th anniversary of the armistice agreement in 2013 between North and South Korea, which ended the Korean War, the first plans for a peace park emerged in the city administration Uijeongbu’s. It should express the desire for reunion of the separated countries. 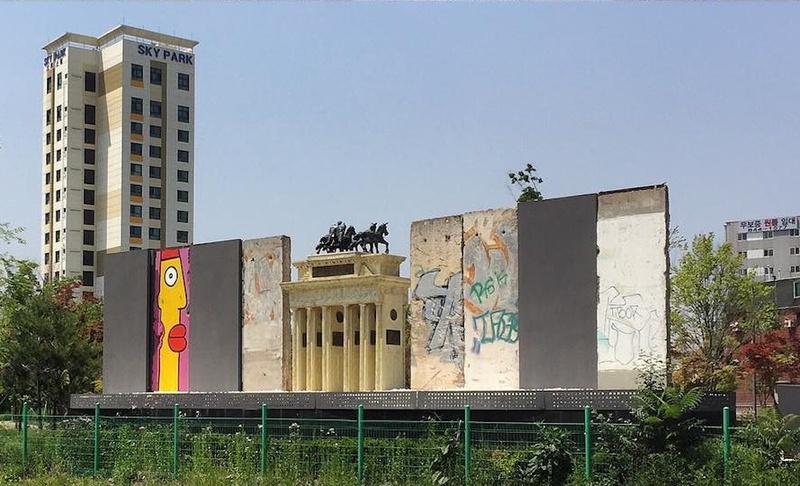 Five segments of the Wall and a detailed miniature of the Brandenburg Gate were therefore set up in March 2014. Gradually, as planned of the municipality, the ensemble is to be supplemented with other symbolic elements. One of the five segments, which comes from a storage bin in Teltow, was specially painted by Thierry Noir.